Swinging or tilting the back plane (sensor) has no effect on overall sharpness unless you are talking about very significant movements that exceed the optical corrections of the lens. It will have a small effect on the plane of ideal focus at your subject but since the purpose of IBIS is to maintain the orientation of the subject to the camera one would assume that would be corrected by the IBIS mechanism. The chances of seeing any variation in the focal plane of the image without using highly advanced testing equipment should be remote IMO. Modern lenses provide an infinite number of equally sharp back planes of focus. If they didn't you wouldn't have technical cameras with back plane movements or be able to use tilt lenses, bellows, extension tubes and such. Some lenses are better than this than others , of course, but at those levels of rotation it's hard to image any modern lens having a problem. Not saying they're aren't possible issues with IBIS, I just don't things that's one to work about. Tilting the sensor doesn't mean that the corners of you images won't be sharp. That's not how lenses work. i don't care what you care about. I just pointed out in this ongoing discussion that not only Sony but also Nikon and Fujifilm and most other makers are offering in-body stabilization because it has value for most of their customers and works well. By itself and In parallel with IS in lenses, when properly implemented. Hope Canon gets their act together on this one as well. Won't all that movement increase the likelihood that the sensor will get out of alignment after a number of years? Or even after a couple rides across the parking lot in a Pelican case (w/ wheels)? I really do wonder about durability. Unlike a couple elements inside a lens that are moving in a single plain (I'm guessing this is the case, else they'd claim more 'axes') The sensor moving in every direction possible just sounds reckless. Sorry to rain on the parade, but I want mine nailed down. As I and many on this thread have pointed out, there are problems with IBIS. Sorry to rain on the parade, but I want mine nailed down. Maybe it’s just me, but I imagine if you can float and actuate a sensor such that it reacts in near real time to random input in 5 degrees of freedom, you can figure out how to put it back where it started. A kinematic mount is one such solution. Hardstops that respectively restrain 1-, 2-, and 3-degrees of freedom will repeatably return to the same location and orientation. You have to shim them in place at assembly, but that’s no different from a traditional fixed sensor. Perhaps with regard to IBIS we should differentiate between "doing the right thing" and "doing the thing right"!! = IBIS + Lens IS working seamlessly together. And each one easily user-switchable. Canon introduced the Canon Macro EF 100mm f/2.8L IS USM in 2009. 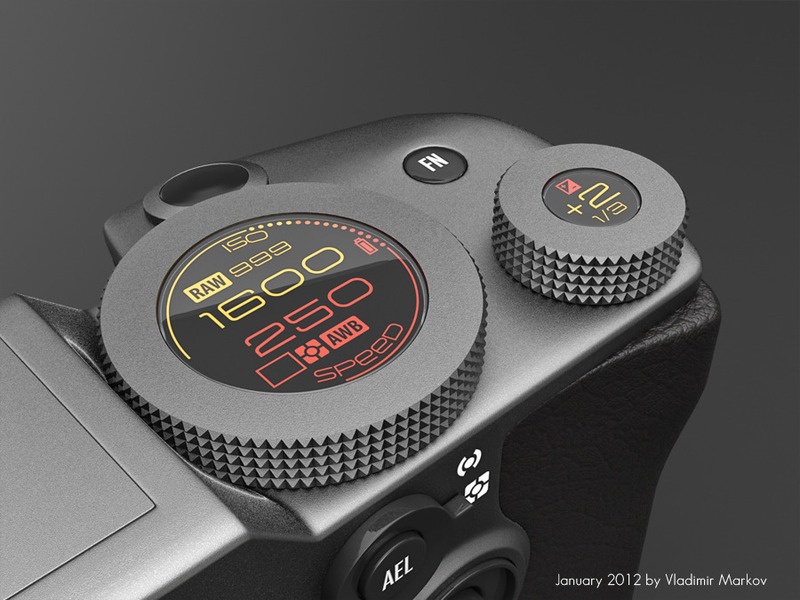 4 axis in lens image stabilization (hybrid). and there are also problems with lens-IS, sensors, AF systems, cameras and lenses, numerous problems! the choice is yours ... either fret over (potential) problems and (possible) side-effects in some specifiic use scenarios ... or stop worrying and enjoy the benefits .., and switch it off, when not useful. If and when "innovative Canon" finally comes up with IBIS. Might take them another few years, who knows. IBIS is far more useful and beneficial for many more users than (4k or any other) video recording in stills cameras. Wasn't it you saying in lens IS was no longer necessary due to IBIS? No, not exactly. With current tech I consider IS still a good thing for *tele lenses* ... plus IBIS in addition for something like an extra 1 or 2 stops of stabilization. For shorter focal lengths lenses - eg a 50mm f/1.2 - I'd be willing to take without IS if body has a good IBIS. Overall I am always in favor of avoiding duplicated items/cost with each and every lens, when it can also be done once per camera body. Even more so, when moving mechanical shenanigans are involved. * Control points for those items [aka rings, dials, wheels, knobs, buttons, sliders, touchscreens, menu system etc.] ideally combined with status information displays. For example, instead of a "dumb top display" I'd prefer a fully customizable, combined control/information element. On camera body, instead of adding yet another "control ring" to each single lens! But it will probably be many more years until "innovative Canon" finally "invents" and drop feeds those "innovations" to us customers..
Thats pretty much a classic recipe to be vulnerable to cognitive biasses. If you'd acknowledged that claims without blind testing are vulnerable to error, Id take you more seriously, but you're arguing from an 'expert' perspective instead. Its not like its been impossible to have highly stabilised images in the past after all, it just needed other techniques. Actually, it had extra sensors but still 2 axis of movement. What I read. But that's another mechanism, in a camera type that is moving away from mechanisms. Plus the gyros for all the axes. I think IBIS is great in principle but I'm worried that it introduces a major points of failure for the body. If you trawl the 'spares or repairs' listings on eBay there are lots of lenses with failed IS, including ones that can't AF when the IS is active. ...if you can float and actuate a sensor such that it reacts in near real time to random input in 5 degrees of freedom, you can figure out how to put it back where it started. Yeah, I don't doubt Canon can pull it off—just makes me nervous. It's reassuring that they're not going to throw out some half-baked solution solely for marketing purposes. But ultimately it seems to me like a giant leap in complexity to solve a problem that barely exists. I know not all lenses can correct 5 stops of shake, but many can—many more will as time goes on I suspect. And I've got a tripod….. Blind testing is particularly difficult for colours. As an aside here, I have an Olympus E-510. It got used a lot! It went on lots of hikes and canoe trips because it was so much lighter than my Canon gear. It had a rough life. It was also the first Olympus camera to have IBIS. It still works! I know that this is only one data point and that one can not form conclusions about the technology from it, but it is safe to say that: A) it has survived 11 years and still works, and B) whatever comes out now from Canon WILL be better. We work very hard to not have those biases. It’s why a group of experts makes these decisions. Of course, you can deny everything, if you like. How do you think we arrive at these standards? Groups of experts in the field work them out. The technical work needs to be understood, and put in perspective. We do double blind testing too. How do you think this is all done, even in the companies working on it? It would be the same mechanism, presumably. I believe Sony and Olympus float the sensor in a magnetic field. The same field would be used to return it. Hard stops are robust and simple; we are talking about 6 machined parts. From a marketing perspective, tripods are a very hard sell to a huge part of the market. They are indispensable in some situations, but very inconvenient in many. When using a tripod, even lens IS isn't needed, so they aren't 100% relevant to the discussion of reducing camera shake for handheld situations. I'm glad you get along well without much need for IS. Ten years ago I felt that way. But as I've aged, and as sensors have become more unforgiving of shake with higher resolutions, I'm grateful for IS on prime lenses and the few non-White zooms that have it. I like it on the 16-35 f/4 IS, and need it on the 85mm f/1.4L IS (which is a big reason I traded in my 85mm f/1.2L). It helps. It works. And, for better or worse, videographers are swaying the market towards more and more IS. Most fairly experienced photographers understand it is harder to compensate for shake within the body as opposed to within the lens. We get it. Lectures regarding the difficulties are a lot of wasted breath/typing, in my opinion, because if Canon produces a FF body that has 3-stop IBIS to help those of us with current ef 24-70mm f/2.8L II lenses, or who want a little help with the new rf 50mm f/1.2L, we will jump right on it, or maybe wait for reviews and some early adopters to let us know how things are working out. This is why I am surprised by so many posts that seem to be intended to prove it can't work. Fine. Such posts are predicting Canon will either not offer IBIS, or will be embarrassed by its ineffectiveness once they do. But many of these same posters have cheered 75MP sensors without worrying about noise! If Canon offers it, really, how likely is IBIS to be an ineffective failure? If worried, don't be an early adopter. I don't plan to be, but within six months or so, with good reviews and no widespread reports of breakdowns, I'd love a robust, pro-level mirrorless FF body with IBIS.